Beautiful 3 bed, 2 bath ranch, split bedroom floor plan with attached 2 car garage. 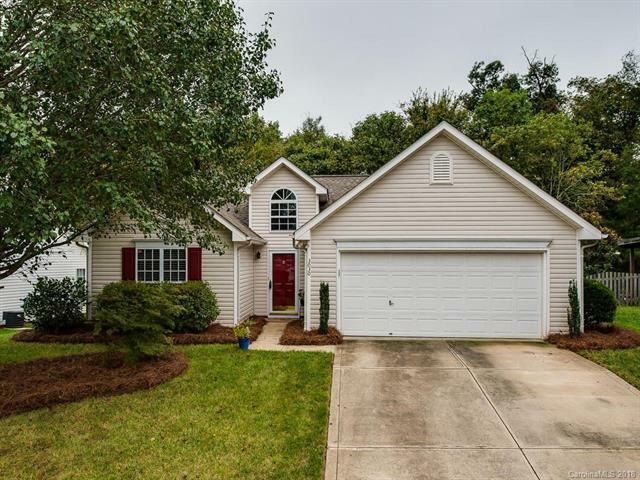 Glistening laminate wood floors welcome you into this charming home with 2-story foyer & stretch through out the family room. The family room additionally features vaulted ceiling, fan, & fireplace. Large kitchen offers tons of counter space, tile floors, black appliances, & breakfast nook within bay window which opens to wooded backyard. Master has carpet, vaulted ceilings, fan, walk-in closet, & ensuite bath. Spacious master bath with double sink vanity, updated tile floors, garden tub & separate tile surround shower complete with seat. 2 good sized carpeted secondary bedrooms. Hall bath features tile floor with tub/shower combination. Fenced backyard is great for entertaining on the large patio & under the automatic awning. Newer roof. Great location near restaurants, shopping, 74 & 51.